East Coast Bodyboarding, Gear up with Free Shipping on all your orders over $125! 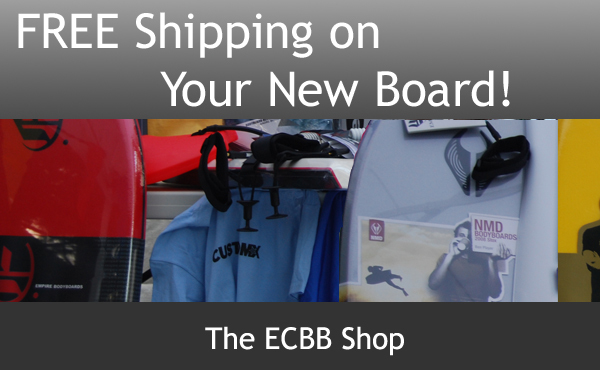 The ECBB Shop ships bodyboards, swim fins, magazines, surf wax, and videos worldwide, including Morey boogie boards, BZ, Custom X, Churchill, NMD, Empire and many more. Browse our bodyboard forum to connect with other spongers. The website of East Coast Bodyboarding is under maintenance, come back soon ! East Coast Bodyboarding , belonging to category "Bodyboard Shop"